capabilities on site, opening up a unique opportunity for North Sea operators in the region. 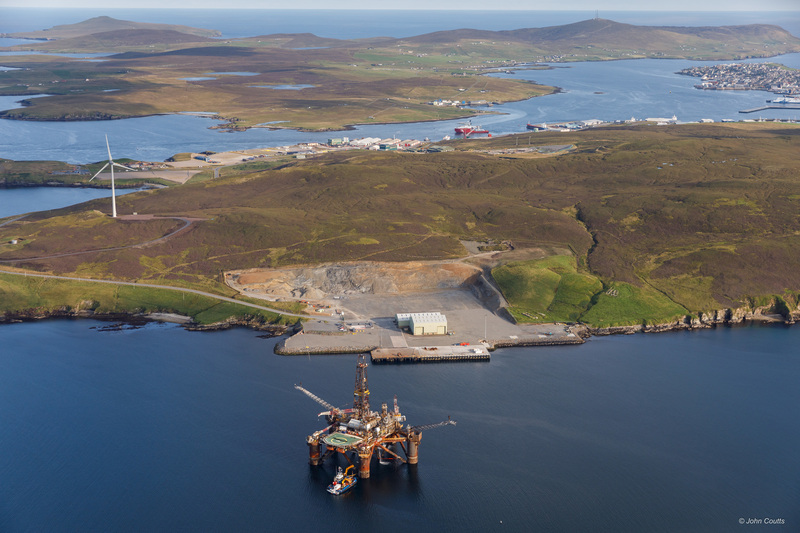 Lerwick Port recently received planning permission to expand the site and facilities at Dales Voe, providing additional facilities to better service decommissioning in the North Sea. This follows a nation-wide feasibility study identifying Dales Voe port as the ideal location for an ultra deep-water decommissioning centre. Leading international energy logistics provider Peterson, alongside strategic partner Veolia, decommissions structures from Lerwick harbour and these enhanced facilities will allow Peterson to offer a comprehensive dismantling and logistics service for heavy oil industry structures. The port’s current facilities are situated in the all-weather port, open 24 hours-a-day, seven days-a-week, giving its customers in excess of 3,000 metres of quayside where Peterson provides integrated logistics services. This includes more than 50,000m2 of open storage plus warehousing, haulage, craneage, fuel bunkering and property rental facilities. The approved planning application is the latest development in Veolia-Peterson’s increasing decommissioning services provision. dismantling and disposal services for a major Northern North Sea decommissioning project. The facility previously welcomed the Buchan Alpha production vessel, weighing 12,000 tonnes, as well as a range of other decommissioning projects.